Proudly exceeding expectations since 2006! While there are thousands of templates, tools, and resources for those “do it yourself” people out there, creating a web site is much more than choosing a template, picking a color, and filing in the blanks. Most people don’t build a house by going to a home improvement store, buying paint, and hanging up pictures. An architect designs the building based on the needs of its occupants, the contractor chooses the materials and fixtures based on the specifications, and the building is constructed often under the watchful eye of the owner. Web site construction is a very similar process. 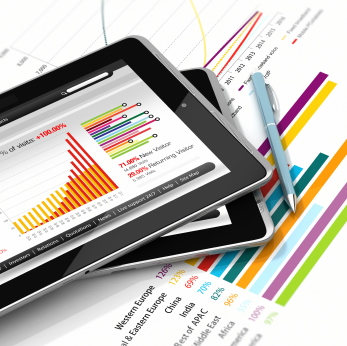 Architectural support includes developing the foundation of site goals, content, color schemes, budgets and time lines. 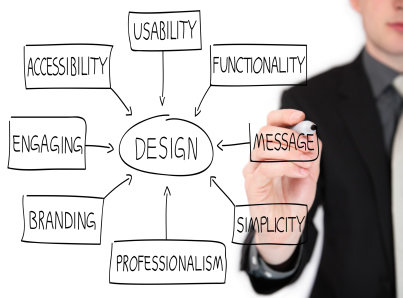 Design support includes development or preparation of web package graphics, site specific styles, layouts, and design. Whether you have a specific requirement or only a conceptual idea, we can bring your project to life. From utilizing your already acquired graphics, photos, and copy ready text to helping you outline a site and developing the components for you, we have the knowledge, ability and experience to make it happen. Our team will take you through the process and provide you with the required information to allow you to make great decisions and keep you informed every step of the way. We spend a lot of time and energy reminding and working with clients to keep their sites up to date. This is important for many reasons. Why?! We are glad you asked!!! A web site is never "done"! Your web site should be a consistent and current reflection of you, your business, organization, or club. It should reflect your mission and vision, your services or activities as well as other aspects defined during the implementation of your site. While we work hard to make your site appear timeless. As you offer new services, change your operating structure, your site should be updated. It's important to be telling the same story whether face to face, in print, or on the web. Inconsistency can lead to many problems. The web around you is also always evolving. As the "younger" generations are now growing up with the web, the expansion is happening at an incredible rate. The "experts" say 1.4 million new web sites are launched around the world every day! (And we thought we were busy!) Folks are depending on the web more and more as part of their daily lives. Traditional items like phone books, newspapers, and encyclopedias are feeling the pressure and many are disappearing each day. If you are not on the web, you a missing many opportunities... If you are and your information is outdated, you are also missing opportunities. New clients or clients who we've just launched a new site are sometime hesitant to the concept of needing to update their sites. We don't believe in just making an update without a reason. We do everything reasonable to minimize the expense of updates for our clients. In fact, our sites are constructed in a "modular way" so updates can be done efficiently, thus maximizing your return on investment! If you are coming to us with a pre-existing site, no problem! As we work on your site, we'll work on creating something something similar for you. Need ideas, help developing your updated content, or maybe with a graphic or photo??? Let us know we can help! We've added or removed staff to photos, painted an office, and even gave someone a new hair style. Sometimes we can provide a solution to an issue you may have not considered! If you are looking to design a new site, update your current site, schedule regular maintenance of an existing site or to fix up a "do it yourself" created site, we can help. We have the right tools, the right people and most importantly the right values... we bring it all together for you! Web site Hosting Management is becoming more complex. With many companies boasting of the benefits of their services, hosting packages, and all inclusive deals, keeping up on comparison prices is something you should entrust to us. Hosting management is just one service which sets us a part from our competition. We have no vested interest where your site is hosted. We'll work to find you the best deal. Like anything in life, you should be getting what you pay for, paying for what you need, and getting the service and support you expect. If your hosting is an issue, it really doesn't matter what your web site looks like... potential customers, clients, or visitors will never find you! We offer initial domain name development, domain searches, brokering, registrations, domain transfers & renewals, hosting initialization, email account management, regular monitoring of your subscribed service’s expirations and hosting utilization as directed by the client. Losses in productivity from an interruption in your email or web hosting are more than an inconvenience. There is not much worse than the loss of a domain name due to an expired registration. Contact us for details today! We do not host web sites ourselves. 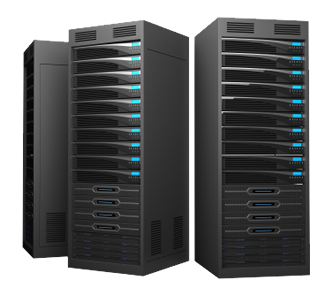 There are very few studios, agencies, or web site development corporations who have been successful in the design and development areas as well as able to offer comprehensive and quality hosting services. What type of redundancy and restoration services do they provide? What type of tech support is included and when is it actually available? Not all websites are created equal! With the always increasing competition for one's time, having a website is only part of the equation. Your site needs to be seen by the people who matter most. While your target audience may be active looking for you, many other opportunities may present from your listing within the search engines. Search Engine Optimization is a specialized process. It begins with a quality constructed site that is built to enhance/encourage indexing by the search engines. It must include solid code and proper placement of the content. Carefully constructed content which correspond to keywords, phrases, and the coded corresponding tags is essential. Activities such as directory listings, link building, blogging and social media integration all play an important part of this process. At Grey Goose Graphics our team can help get you started on your way to success. Should you required more specialized services, we also have long standing relationships with many specialists in this area which may assist you further. Please note: There are many scams on the internet revolving around search engine optimization. Companies and individuals offer many services at a variety of price points and will guarantee you results every time. We would like to offer you three things to consider when looking for help with Search Engine Optimization. Be very cautious of the SEO provider that offers you top spots in a short amount of time. First... There are always ways to beat the system, but if they are using "black hat" tactics, this will ultimately hurt you in the long run. It is almost impossible to always be in the top as your competitors are always trying to accomplish the same thing. Our advice is to run from guarantees as if they sound to good to be true, they usually are not obtainable. Be sure to understand how much you are paying, what you are getting, and what your commitment is to them. The fine print with some SEO vendors locks you in to a multi-month or multi-year contract that may look appealing on your credit card each month, but over the long run may leave you asking what you really obtained for the large sum paid. SEO is an active process that should be on going. The competition is always changing... the technology is changing... your content is changing... SEO is like shooting at a moving target. There are many great resources on the web and in text books for those looking to "Do it Yourself" or evaluate the plan proposed by SEO providers. No matter what direction you head off in, you should be prepared for the long term. Cost effective marketing with for the new generation. 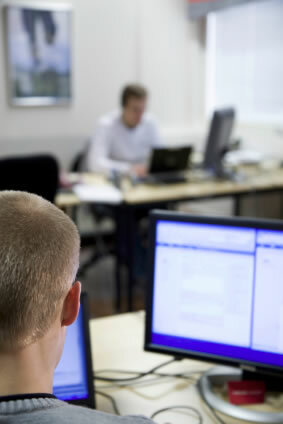 We understand that print and postage expenses can add up for traditional mailing campaigns. While we still offer these services, the trend towards email marketing continues to grow and out pace print and postage campaigns year after year. 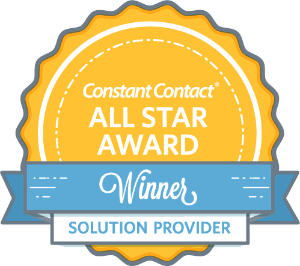 We are proud to not only be Constant Contact Solution Provider, but also a multi-year recipient of their All Star Award which recognizes our achievements using online marketing tools to drive success. We are proud to use these tools to help small businesses do more business. Since 2006, we have partnered with Constant Contact who has been revolutionizing the success formula for small businesses, nonprofits, and associations since 1998. With numerous active accounts across many market segments we have provided an all-in-one online marketing platform that helps small businesses drive repeat business and find new customers. It features multi-channel marketing campaigns (newsletters/announcements, offers/promotions, online listings, events/registration, and feedback) combined with shared content, contacts, and reporting; free award-winning coaching and product support; and integrations with critical business tools – all from a single login. If this sounds like a lot of work for you... we can help. From assisting with creative to full management of your campaign and account... we've got you covered. Contact us today to learn more about how we can leverage this technology to exceed your expectations. In 2015 we obtained our Masters Certification from Constant Contact. In addition to completing core curriculum training, we had to demonstrate competency by successfully passing a knowledge exam and creating and executing a complete marketing campaign to Constant Contact's specifications. We then had to submit a partial list of clients for them to contact to review not only our technical skills, but our overall business operations and client satisfaction. The last phase was comprehensive interview with their team to learn more about our organization, human resource practices, business model, client & project management system and more. We passed all requirements and exceeded many of their standards. We are proud to partner with them and provide support to their team.